In 2015 Landstar owner-operators averaged $176,000 in gross revenue per truck, according to Landstar Executive Vice President of Capacity Development Rocco Davanzo. However, because of Landstar’s unique non-forced dispatch and percentage pay business model, incomes vary among Landstar owner operators. Landstar drivers, all owner-operators, select their own loads and decide when and where to work, along with the type of trailer they pull. Landstar’s program is as close to total freedom as possible, which means success or failure has a lot to do with day to day decisions related to load and location choices, overall work ethic, and truck maintenance. 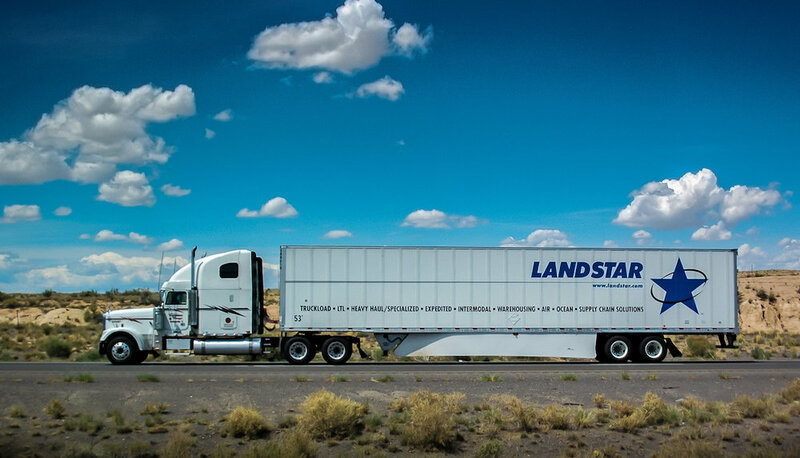 Successful Landstar owner-operators are self-starters who exercise common sense in their operations and utilize Landstar’s cutting edge technology to find loads going in and out of higher paying, load rich regions. Landstar pays a percentage of the load, between 65% and 75% depending on trailer type and ownership, instead of a set rate per mile. This business model rewards owner-operators for securing higher paying loads instead of chasing miles. Van Trailer: 65% of Line Haul Revenue. No trailer rental fees. 100% of fuel surcharges are paid to Landstar owner-operators. 100% of tarp charges are paid to Landstar owner-operators. Drivers who do not succeed at Landstar oftentimes do not know how to handle total freedom. Many maintain a low-effort, minimal work mentality, which causes them to work in a reactionary mode when they run short on funds. In reactionary mode, drivers end up selecting poor paying loads to bad areas because they didn’t take the time to learn how to fully utilize Landstar’s load board and load alert technology to locate and secure higher paying loads going to and from good areas. They also exhibit poor business practices, like not building and maintaining a tractor maintenance fund for when their tractor malfunctions. These practices will lead to failure in any business, especially Landstar. Landstar KCL agency has been recruiting and helping Landstar retain owner-operators for 20 years and we would be happy to discuss in more detail what it takes to become a prosperous Landstar owner-operator. If you would like to speak to a Landstar recruiter, click here. If you would like to apply with Landstar, click here.